Friday’s teaser sports betting odds are predicting a heated finish to tonight’s Calgary Flames vs. Ottawa Senators matchup. Calgary is seeing if they can make a case for a Wild Card berth in the Western Conference. On the other hand, the Senators are happy that the season will be coming to an end soon. Let’s take a look at what tonight’s online hockey betting odds are predicting. Sean Monahan and Johnny Gaudreau will be looking for another successful outing this evening. 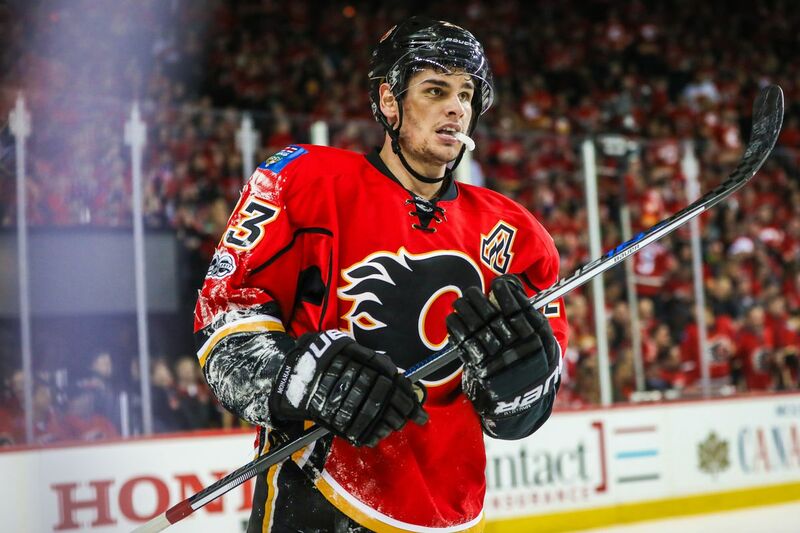 Monahan currently leads the Flames in goals while Gaudreau leads them in both points and assists. Thanks to their efforts, the Flames were able to snap a 4-game losing streak with a brilliant 5-1 win over the Buffalo Sabres the other night. With that win, Calgary now enters Friday’s game sporting a 33-25-10 record. That yields the club 76-points on the season, placing them 4-points behind the 3rd-seeded Anaheim Ducks. Clearly the Flames can still make a push for an automatic playoff berth in the Pacific. A win against Ottawa would certainly help in that endeavor. By the looks of it, the evening’s online hockey betting odds are going Calgary all the way. This is unsurprising, since the Flames are a much better team than Ottawa statistically. On offense the Flames rank 18th while the Senators rank a meager 24th. Defensively it’s very much the same story. Ottawa currently ranks 30th in goals allowed while the Flames rank 14th. Calgary will undoubtedly look to capitalize on this advantage tonight. 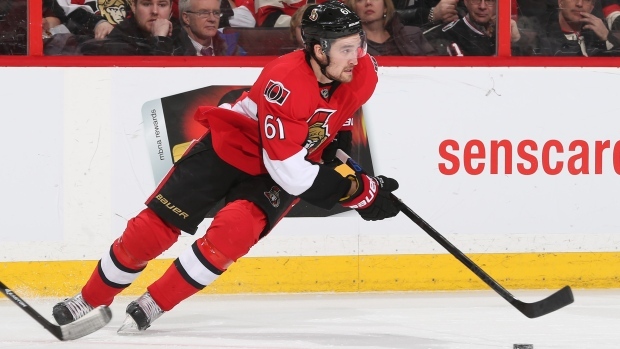 Mark Stone and Erik Karlsson will be leading the charge tonight. Nevertheless, it’s hard to imagine them leading Ottawa to a victory on home ice. After all, the Senators ride in with a pathetic 23-32-11 record that ranks them second to last in the Atlantic Division. On top of that, the Senators have a measly 2-7 record in their last 9 matchups. So, should NHL betting players bet against the home team in tonight’s Calgary Flames vs. Ottawa Senators matchup? All things considered, there’s no reason to bet against Calgary. The Flames have a statistical advantage and come in with a bit of momentum. Not only that, Calgary has something to play for this evening: playoff qualification. Since the Senators don’t really have anything to vie for, it’s difficult to imagine them delivering a valiant effort. There’s only one way to bet this evening and it’s Calgary. The Flames have all the advantage and the chips should fall in their favor. Luckily, the odds out on Calgary aren’t all that steep. Sign up now to take advantage of tonight’s odds! Score Prediction: 4-2 Calgary. The Flames pick up the home win and cover the spread.